A Texas resident sick with measles may have exposed passengers on four Southwest Airlines flights to the highly contagious virus, officials said. The individual took flights connecting through Houston’s Hobby Airport on Aug. 21 and 22, the Houston Health Department announced Thursday. 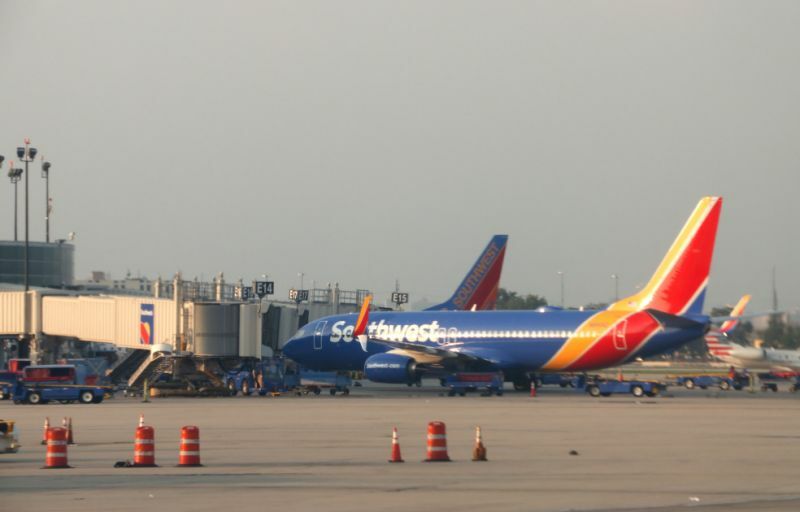 The passenger was diagnosed with measles after traveling, a Southwest representative told TIME, but health department said the person was contagious at the time of the flights. Southwest is working with the Centers for Disease Control and Prevention (CDC) to notify passengers on four flights of the possible exposure, the airline said. These flights include Flight 5, from Dallas to Houston on Aug. 21; Flight 9, from Houston to Harlingen on Aug. 21; Flight 665, from Harlingen to Houston on Aug. 22; and Flight 44, from Houston to Dallas on Aug. 22. The CDC did not immediately respond to TIME’s request for comment. Widespread and effective vaccination has made measles rare in the U.S., but 107 cases across 21 states were reported during the first six months of this year alone, in part because of lingering anti-vaccine sentiment. The viral infection causes symptoms including rash, fever, sore throat, inflamed eyes and runny nose, according to the Mayo Clinic. Passengers on the affected flights may develop symptoms as late as Sept. 12 and should see their doctor if so, according to the Houston Health Department. Other travelers who were in the affected airports on Aug. 21 or 22 are at a lower risk of infection than those who were on flights with the sick passenger, the health department said.